The mafia graveyard also known as the East River will now have more for New Yorkers to gaze at than snitches and trash. 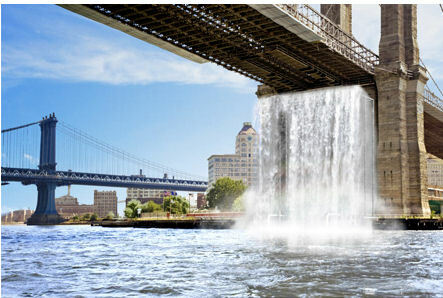 Artist Olafur Eliasson is set to install four waterfalls (one under the Brooklyn Bride) that will start gushing as soon as July 2008. 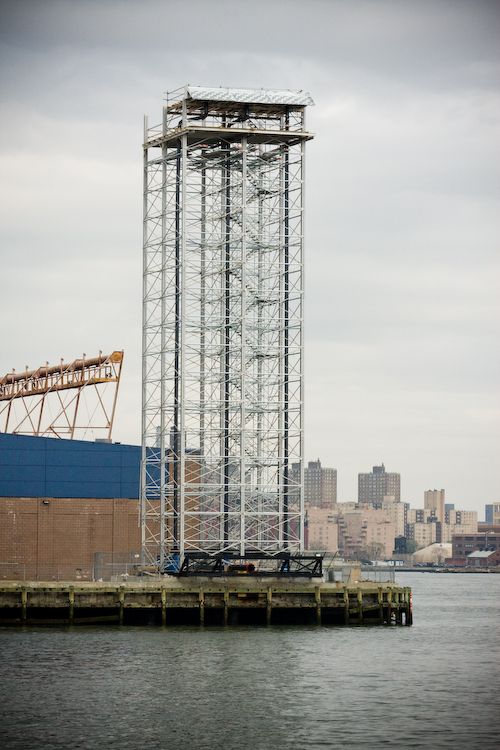 The projects $15 million price tag was privately funded through donations to the New York Public Art Fund. The city is expecting to make a little loot (good ol’ tourist dollars) from this project to the tune of $55 million, hoping to repeat the financial success of Christo’s and Jean Claude’s “The Gates” in Central Park back in 2005. These waterfalls will accompany the artists retrospective show named “Take Your Time” being held at MoMA and PS1 during the same time. I really hope these things have filters, because the last thing I want to see is the contents of the East River being shot out of a 60 foot tower.